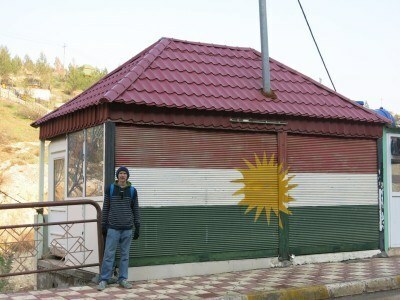 I’ve written up lots of stories from my 10 days backpacking through Northern Iraq but I have yet to cover any of my hotel stays there – I stayed in 4 different hotels in Iraqi Kurdistan. You might not know what to expect when backpacking through Iraqi Kurdistan, a region which is beautiful, but sadly torn apart by war, something that the biased “Western Media” are quick to point out to you. During our time in the country we toured Duhok, the mountain villages of Amadiya and Sulav, Erbil and Sulimaniyeh as well as a few other parts. 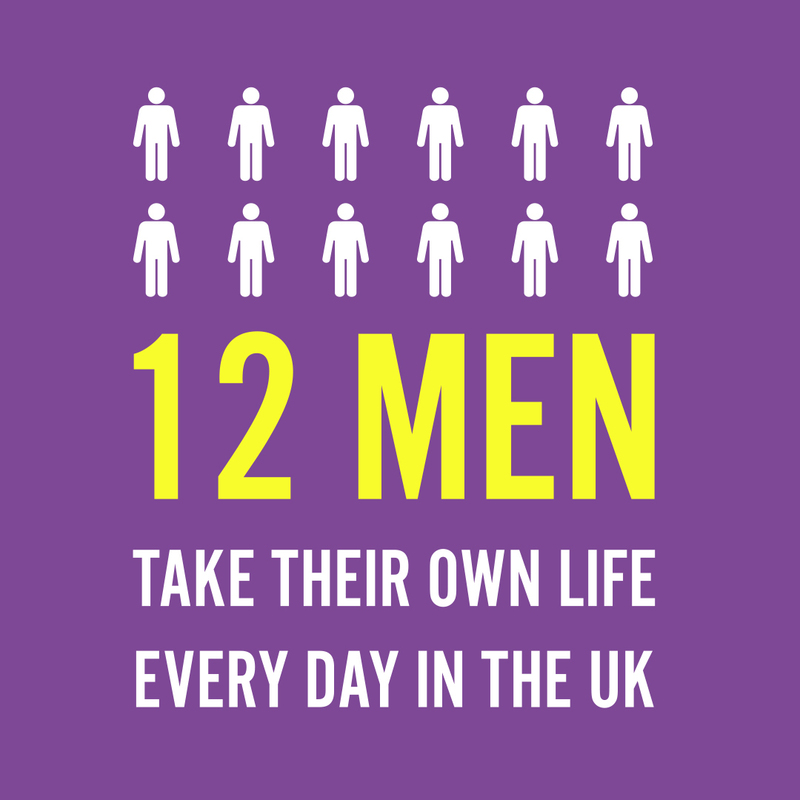 Despite what you might think, Iraq isn’t all bombs, guns and terror and people need to be aware of this and stop believing what they hear on the news. I grew up in Bangor and Belfast in Northern Ireland in the 1980s where sadly bombs and shootings were a daily occurrence and I hate the way the media spins things. 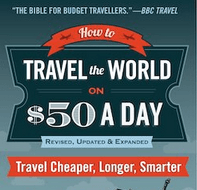 This blog won’t – I’ll tell it how it is. 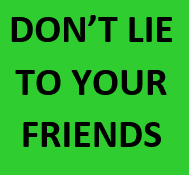 What surprises some people is that 95% of people you meet are decent and they don’t want to kill you! Yes, even in Iraq. The town of Duhok is a marvellous little place. 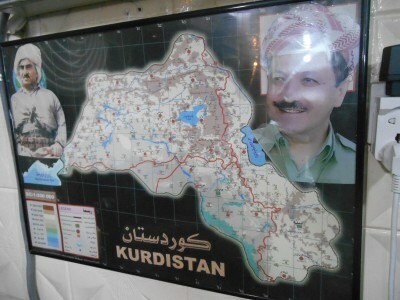 It’s a fairly safe Kurdish stronghold in the Kurdistani part of Iraq and worth a few days. It’s the gateway to the incredible mountain village of Amadiya and it’s also the nearest place we found to having a “backpacker’s scene” in Iraq. 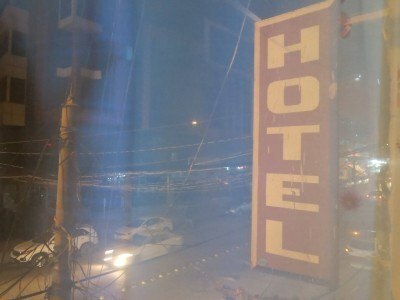 It’s nice to know that life here carries on regardless, and even better to know that one local businessman has travelled and opened up a hotel which is the nearest thing to a backpacker’s hostel in Iraq. 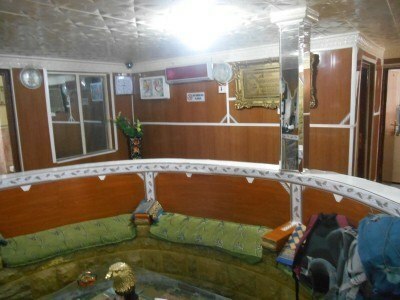 It’s cheap, it has WiFi, it has a communal area, it has tourist information and it’s right in the pumping heart of Duhok. 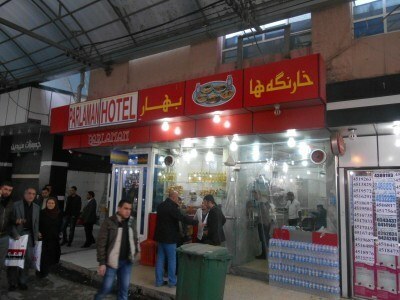 Here are five things we liked about the Parlaman Hotel in Duhok, Iraqi Kurdistan. The location of the Hotel Parlaman couldn’t be improved. 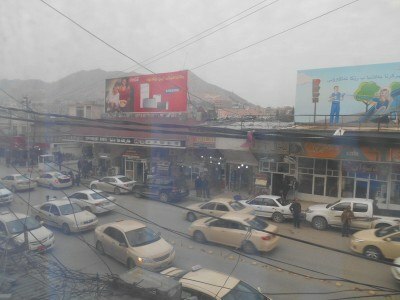 It’s downtown Duhok. You are right inside the bazaar, there is a cool local Iraqi restaurant (Omara) just two doors down as well as a load of local shops. View out onto the street from our window in the Hotel Parlaman. The main sights of the city are all close by, as is the Hotel Rasan which sells booze and has a 13th floor view of the city. With in room WiFi at the Parlaman Hotel, it kind of felt like a hostel atmosphere when we arrived, as the guy hands over the WiFi password on reception. 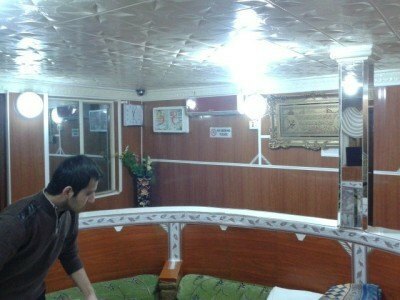 OK so they don’t have breakfast or a TV room but a communal lounge lets you know this place is trying to be Iraq’s first backpacker hostel. 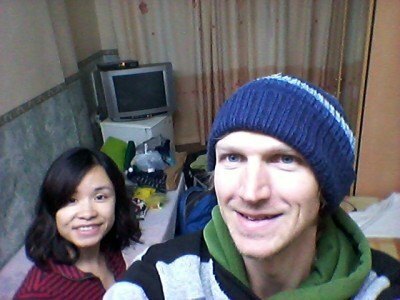 It cost us £8 each a night for a double room with an ensuite. Now that’s a bargain – even in Iraq. 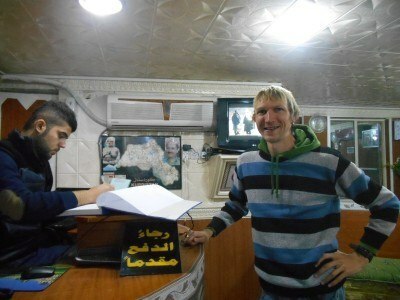 Seriously in Iraq, there are not many tourists so to find a place with maps and information is extremely helpful. We were able to easily visit Sulav and Amadiya from here before we got a shared taxi to the city of Sulimaniyeh. 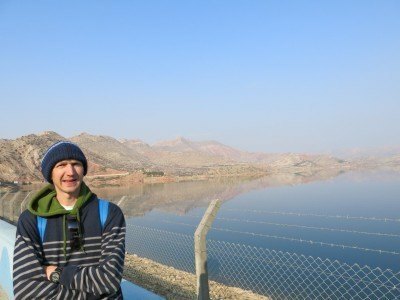 So really if you are backpacking through Iraqi Kurdistan, definitely make a stop off in Duhok – it’s a cool city and the Hotel Parlaman is the place to be. Let’s hope it’s not long before Iraq and Syria have a proper backpacking scene once again, have peace all round and welcome tourists with aplomb. Don’t believe the media hype – 95% of Iraqi Kurds are wonderful people. The Parlaman Hotel sadly does not have a website or Facebook Page yet, but I hope it gets one sometime. When backpacking in Iraq don’t book any accommodation in advance (often you can’t), just head to Duhok, head to the Bazaar and you will find the Hotel Parlaman, it’s up a staircase. Here are some videos from our time in Duhok and the Hotel Parlaman while backpacking in Iraqi Kurdistan. 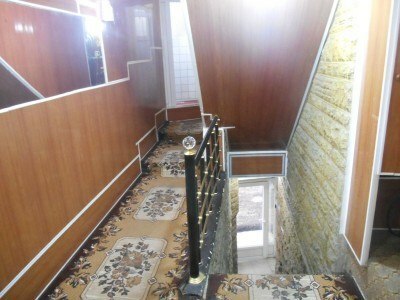 This entry was posted in Accommodation, Backpacking, Central Asia/Middle East, Dohuk, Duhok, Hostels, Hotels, Iraq, Kurdistan. Bookmark the permalink.